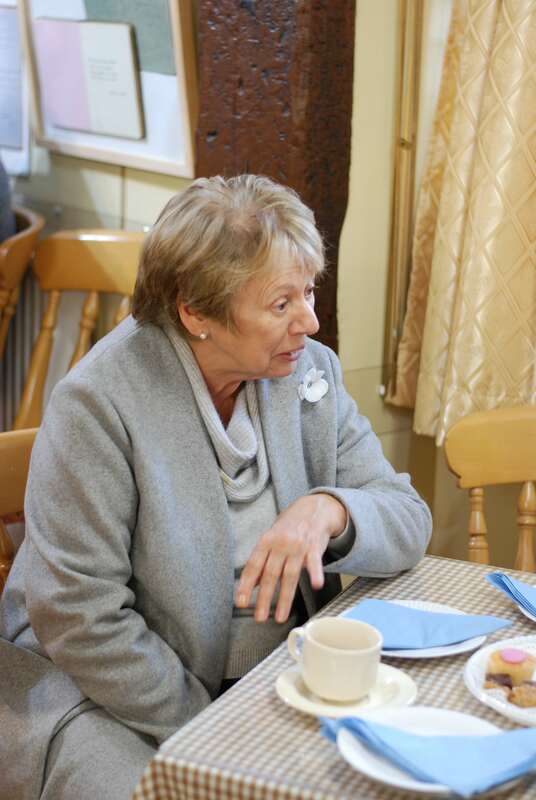 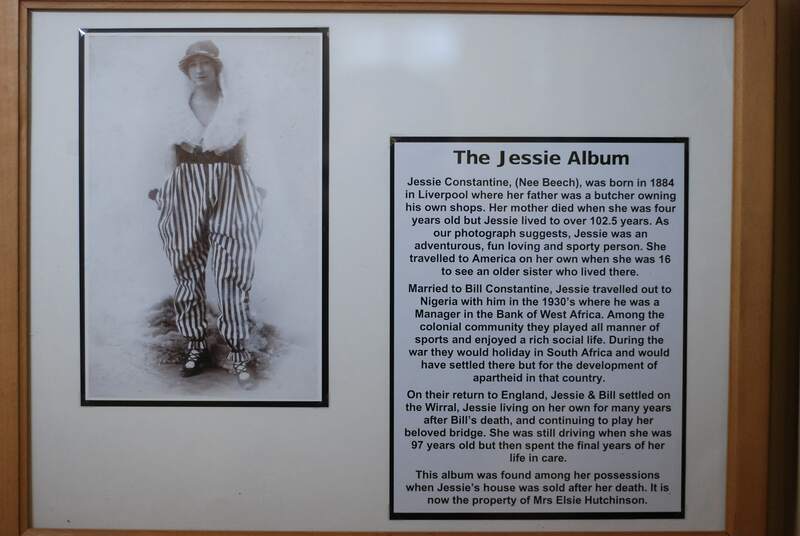 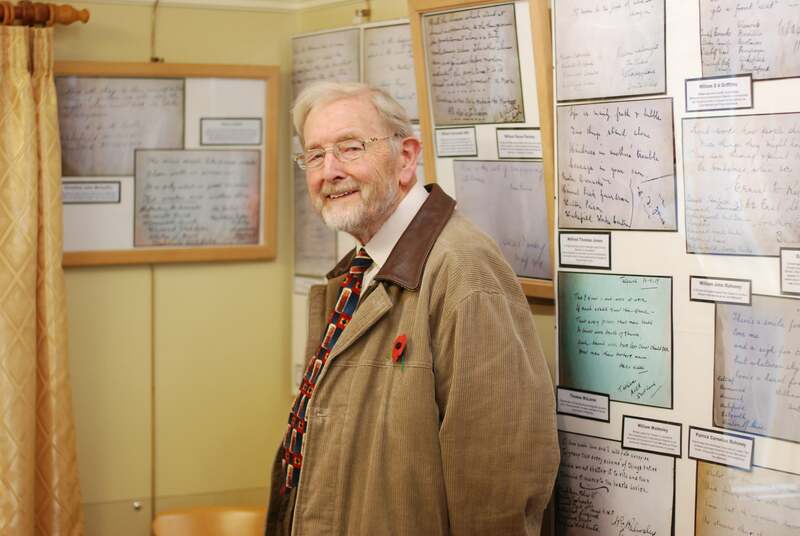 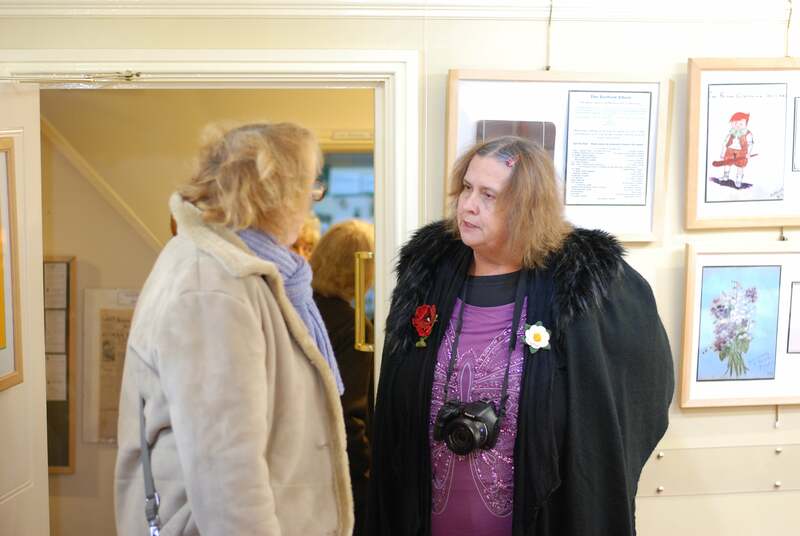 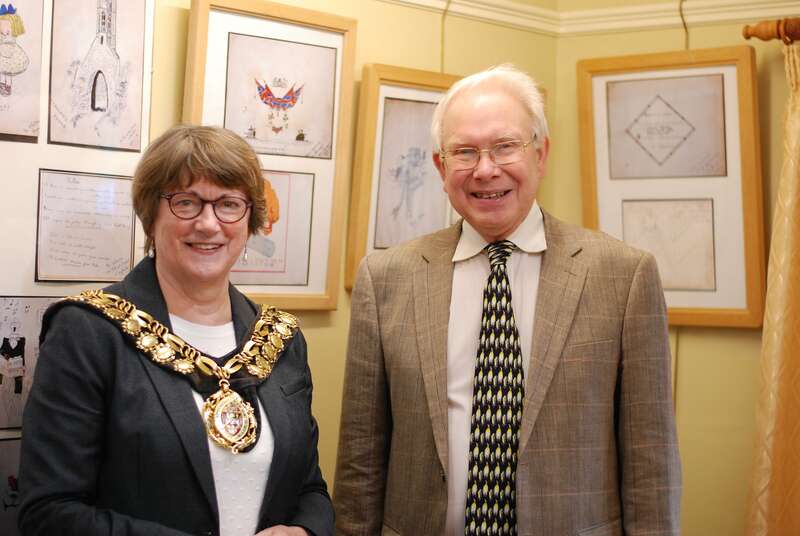 On Monday 7th November, Cllr Linda Burgess formally visited the Museum to officially open the new exhibition in the Cafe-Gallery – “In Friendship”. 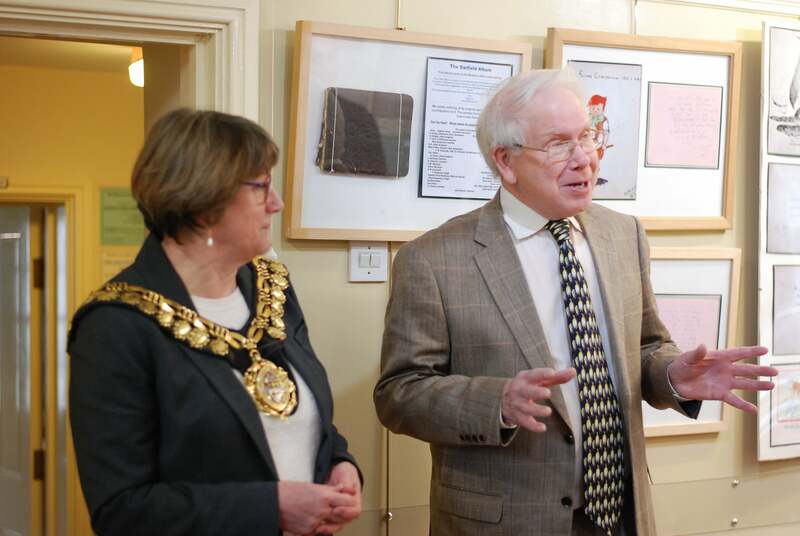 This marked the first formal visit by any Mayor of Barnsley since the Museum opened 16 years ago. 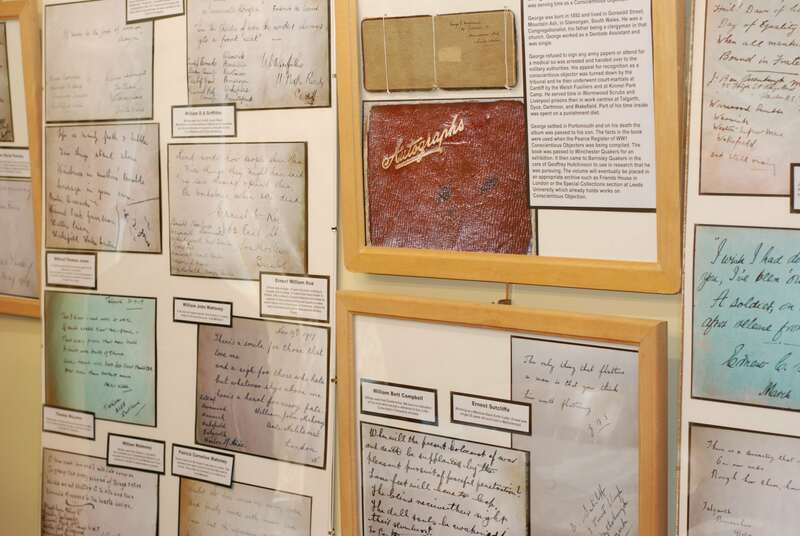 “In Friendship” is the story of three autograph books from the period of the First World War. 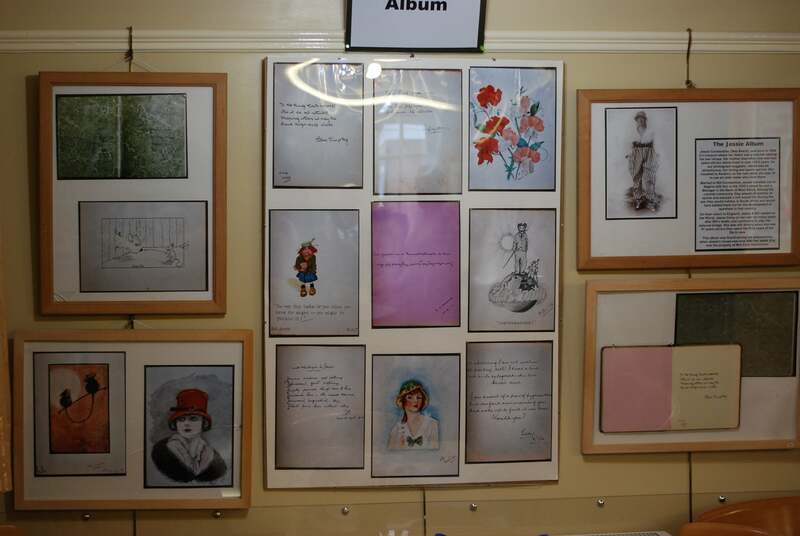 Two are civilian books with lots of colourful paintings and drawings with verses and comments, but very little mention of the war. 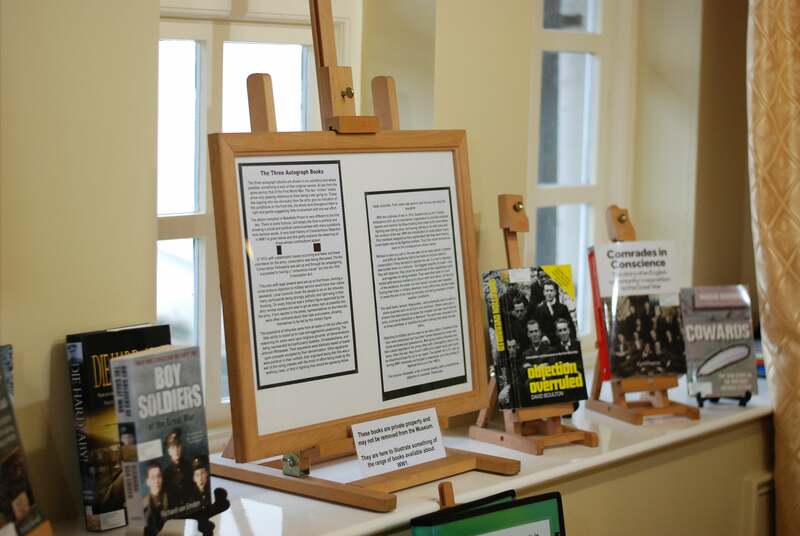 The third book is one with the contents being writings from Conscientious Objectors housed in Wakefield Prison following courts martial for their resistance to the conscription act. 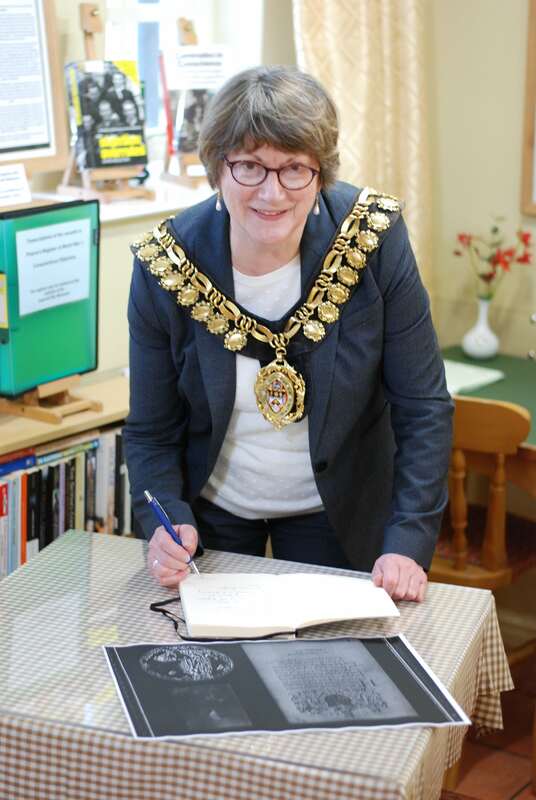 Research into the men, included in the book recovered from Wakefield Prison, has been gathered using the Imperial War Museum archives and presented in a book available to read in the Cafe-Gallery. 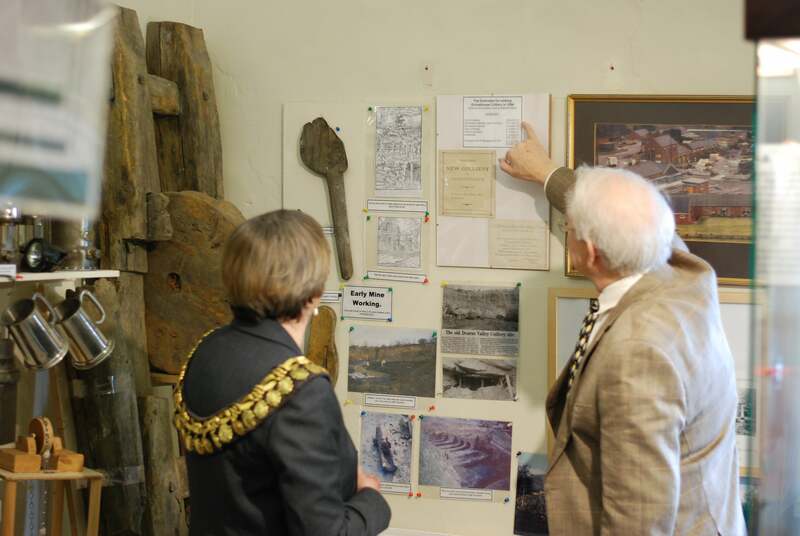 In addition, Cllr Burgees had a guided tour around the Museum by Chairman Geoffrey Hutchinson, gaining an insight into the mining industry that was in Darfield, as well as domestic memorabilia from around Barnsley. 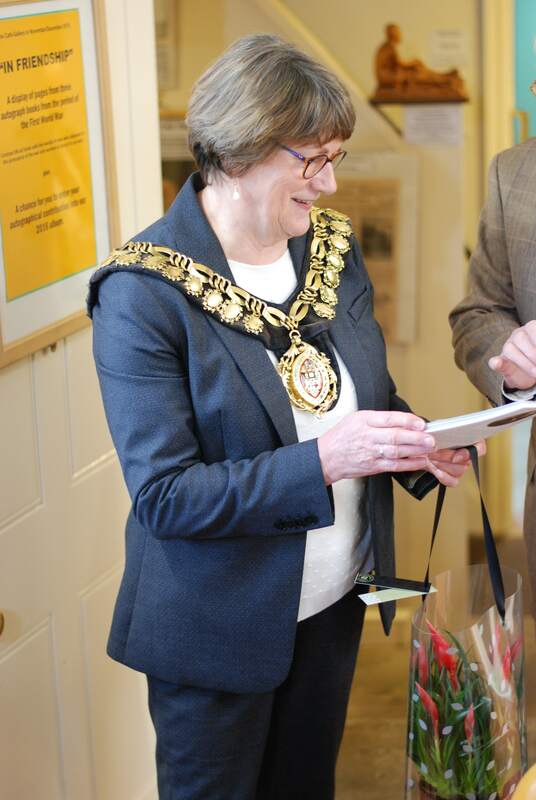 Cllr Burgess added to the 2016/17 autograph book started by the Museum. 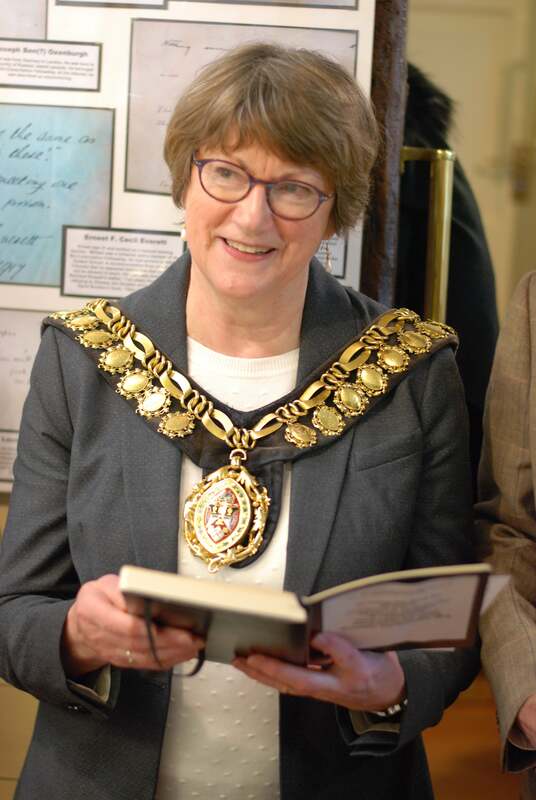 There is also the chance for members of the public to put their own inscription into the autograph book. 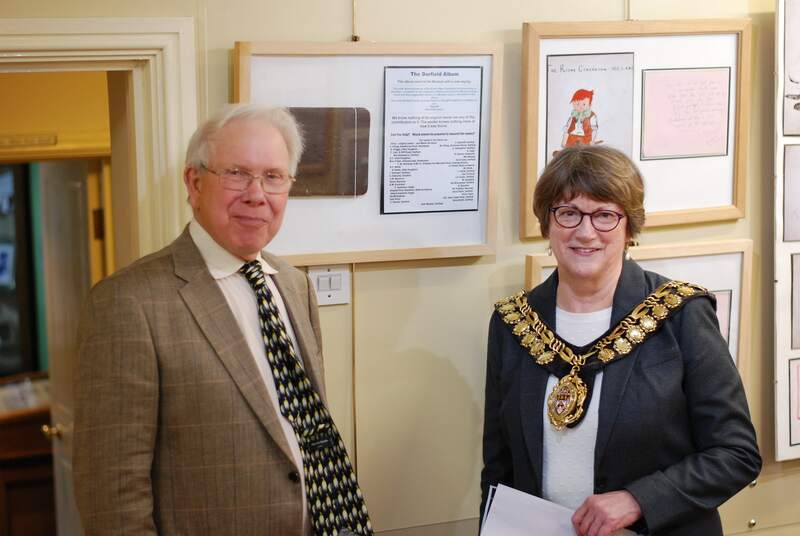 The exhibition will be open until December and available to view on the winter opening hours of Wednesdays, 1pm to 4pm and Saturdays, 10am to 2pm.